Kim Dotcom will launch a political party in the United States next year. Run by American citizens, Internet Party US will feature "celebrity founders" from the music, movie and Internet sectors. Dotcom will be its PR man and is already warning that "Hillary" faces her "worst nightmare" in 2016. Just twenty-four hours ago Kim Dotcom was staring disaster in the face, his freedom hanging in the balance on the words of a New Zealand judge. U.S. authorities claimed that Dotcom had breached his bail conditions on several occasions in the hope they could place the businessman back behind bars. With his legal team mostly resigned, Dotcom faced the court with a single lawyer and pulled it off. Allegations against him dismissed, the German left the court a free man, ready to fight another day. Not content with cruising speed, this morning Dotcom stomped his foot on the gas once more, announcing what could be his biggest challenge yet. 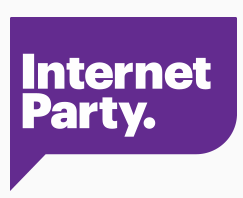 “The Internet Party is coming to the United States in 2015,” he announced on Twitter. The political arena is no stranger to Dotcom. The Megaupload founder pumped millions of dollars into the original New Zealand-based Internet Party in the lead up to the 2014 elections there, although that foray into politics ended mostly in disappointment. One of the administrative issues faced by Dotcom in his New Zealand campaign was his nationality. As a German he could not stand himself, so instead the Internet Party forged a partnership with the Mana Party whose leader ultimately ended up losing his seat. In the United States Dotcom will face similar hurdles, but it appears plans are already in place to not only shake up politics, but to do so using players from some of the very industries currently hounding him. “Stay tuned for our celebrity founders from the music, film and Internet industry,” Dotcom teased this morning. Cracking the United States will be no easy task and will require more funding than the estimated $3m Dotcom pumped into his New Zealand campaign. However, Dotcom possesses considerable skills in grabbing the attention of the media so will be a great asset on the PR front, a role he has confirmed. “The Internet Party US will be well funded and run by American citizens. I will help with Public Relations ;-),” he wrote. The funding issue could also prove to be an interesting one since only last week Dotcom announced that he’s “officially broke”. Despite having earned $40 million since his assets were seized back in 2012, Dotcom says his luxury lifestyle and hefty legal bills have swallowed it all up. In a parting shot this morning, Dotcom again protested his innocence and denied U.S. government claims that he’s a fugitive and likely to flee. The icing on the cake was a reference to a certain Clinton and her anticipated presidential run. In the wake of the Internet Party’s election defeat in New Zealand, Dotcom declared his brand “poisoned” and briefly retreated out of the spotlight. However, recent headlines have shown there is still a broad appetite for Dotcom’s unique blend of drama, but whether US citizens will want that injected into their politics remains to be seen.